Throughout this trip traditional villages, green hills, forest, landscapes and mountains are the main attraction and highlights of this trip, however to be in the country of ancient culture, religions with old heritage with views of high snow capped mountains is quite something, out of this world feeling, trekking in the pristine forest home of rare and elusive Red Panda with enchanting rhododendron tree lines around Helambu located North Mid East from Kathmandu and beneath central Himalaya, dramatic variation from sub-tropic – Mediterranean to alpine climate and in stunning landscapes, daily amazing panorama views with views of mountains from Manaslu, Ganesh, Langtang and Jugal Himal, fascinating traditional mid hills of Hyalmo and Tamang villages makes this wonderful journey worthwhile. 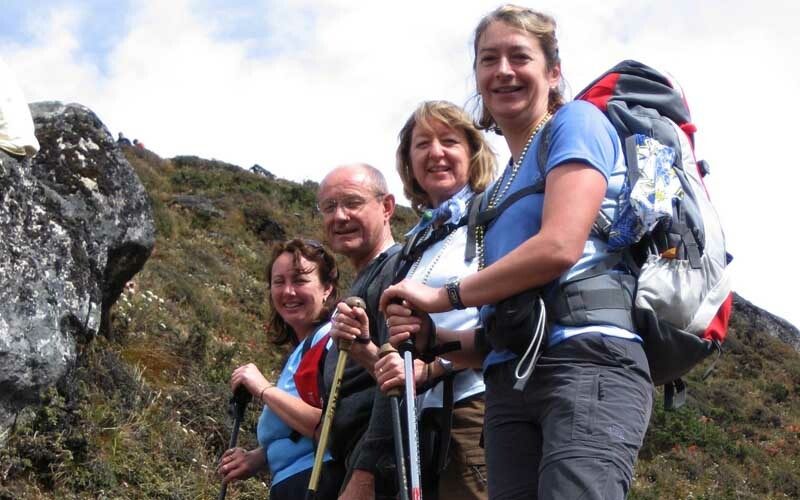 Helambu Trekking is an absolutely amazing short trek to explore beautiful villages enrich with ancient culture and superb panoramic view of high Himalaya. 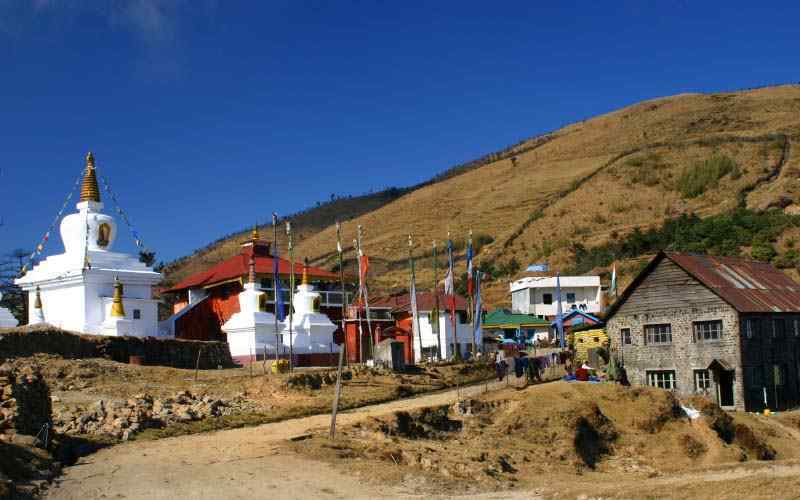 You will be walking through friendly traditional hill villages in the land of Hyalmo, Tamangs Bramin, Chettri and Newar settlement. 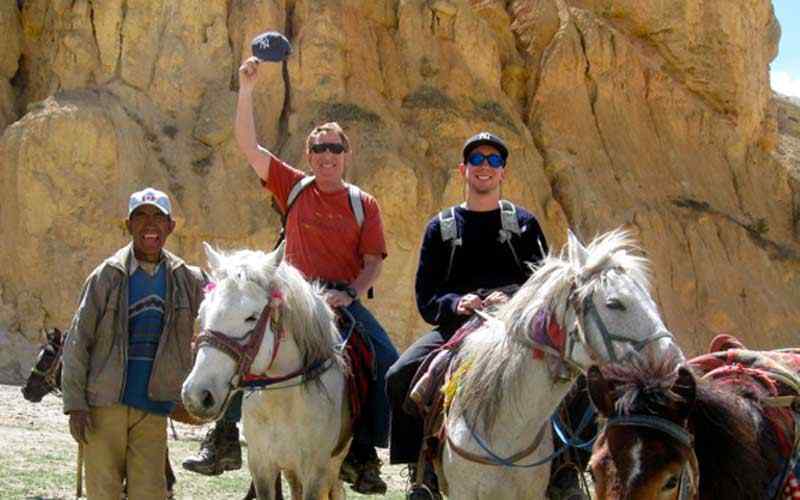 Helambu Trekking is very rich for cultural exploration, where you can explore Buddhist Monuments and Monastery. 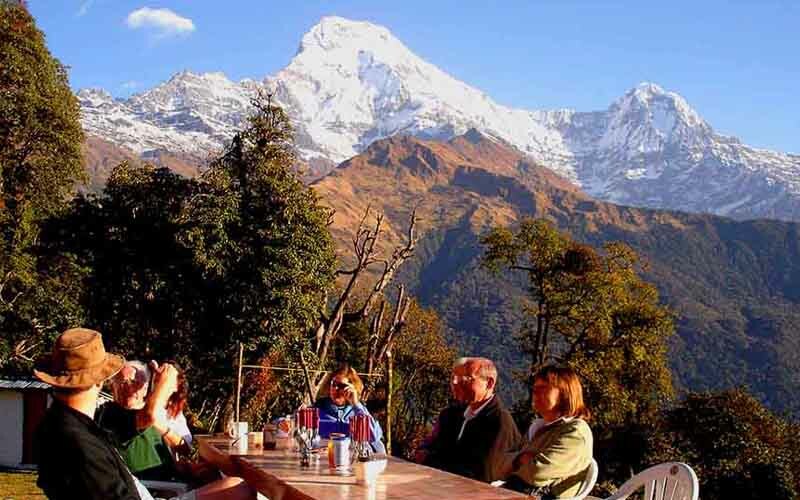 You can also magnificent mountains including Annapurna I (8,091m / 26,545ft) 08th highest Mt. 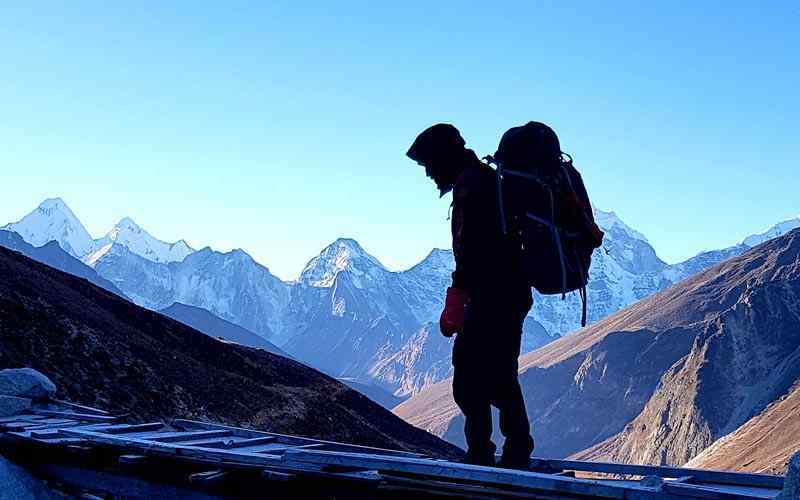 Manaslu at 8,163 m-26,781 ft, Ganesh Himal (7,405 m-24,295 ft) in the western horizon and the central Langtang Lirung (7,234 m-23,734 ft) Ghengu Liru(Langtang II 6571m / 21,558ft), Kimshun (6,745m/22,129 ft). 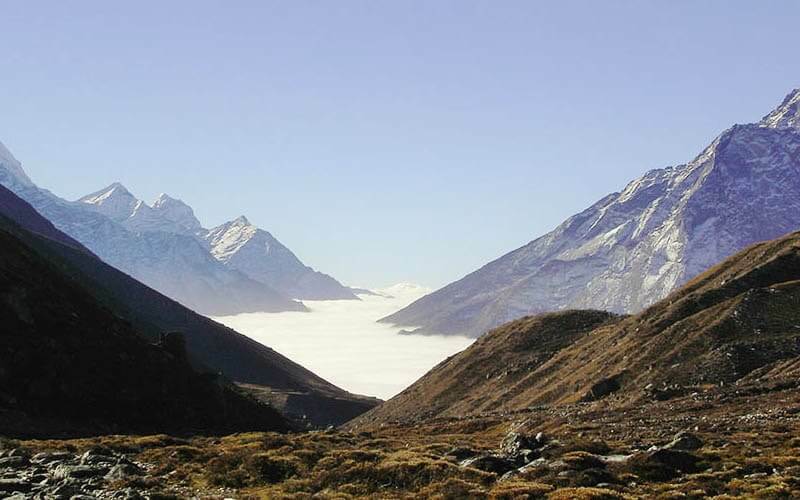 Beyond it extends to Jugal Himal, terminating in Dorje Lakpa (6,980m/22,900ft), There is a massive mountains toward east Gaurishanker and Melungtse. This fabulous journey starts from Sundarijal north east of Kathmandu valley. You will be walking through the lovely farming landscape. 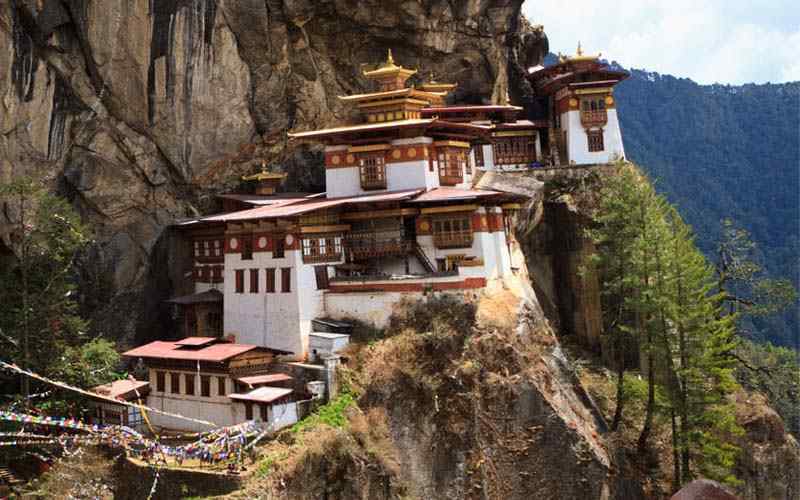 The people with their culture and life style are highlight in the trip. There are also beautiful forest of rhododendron, oaks, pines, fir and many wildlife in the forest. 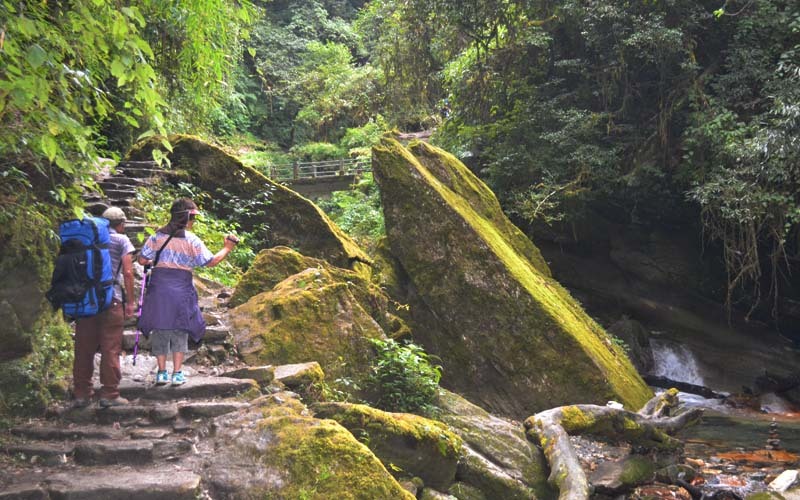 Helambu Trekking is loaded with green rich backwoods, terraced farmlands and towns. This is the best course for nature darlings. 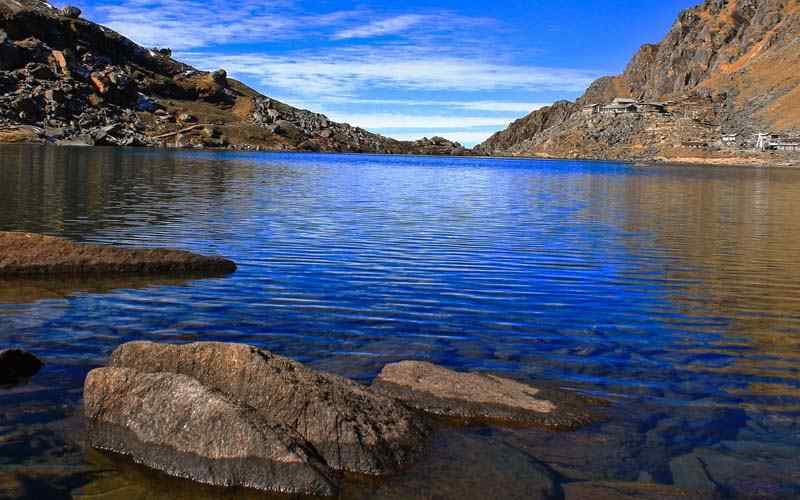 Assortments of widely varied vegetation make this place heaven for wilderness darlings. In addition, the water assets that are found in plenitude could make you insane. 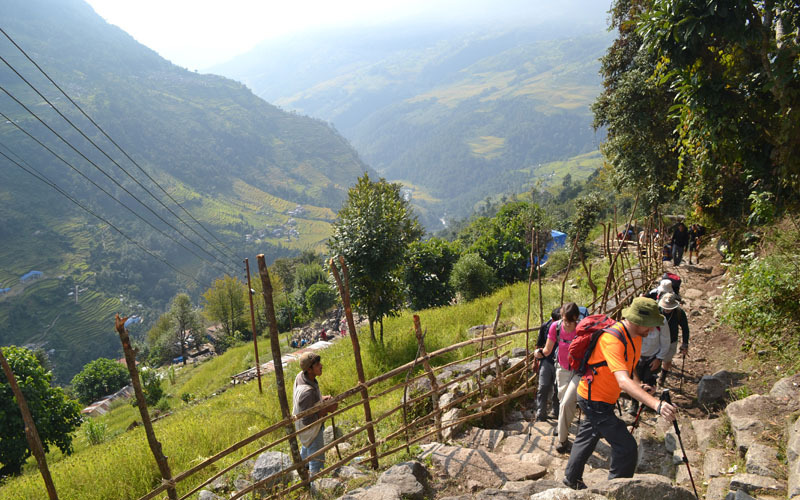 The aggressive undertaking of Nepal Government to bring drinking water from Melamchi River can likewise be seen on the trail. You can watch the passage and whole undertaking also. 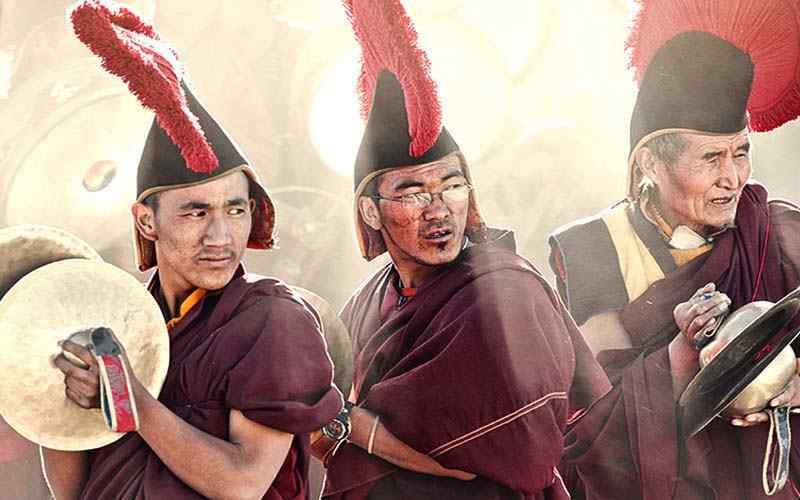 Before all else bit of trekking trekkers will have the capacity to watch Tamang and Lama individuals while in later stages Tibetan birthplace individuals are experienced. In this manner, it is something other than investigating the forested areas or through terraced farmlands rather it is network trip too. 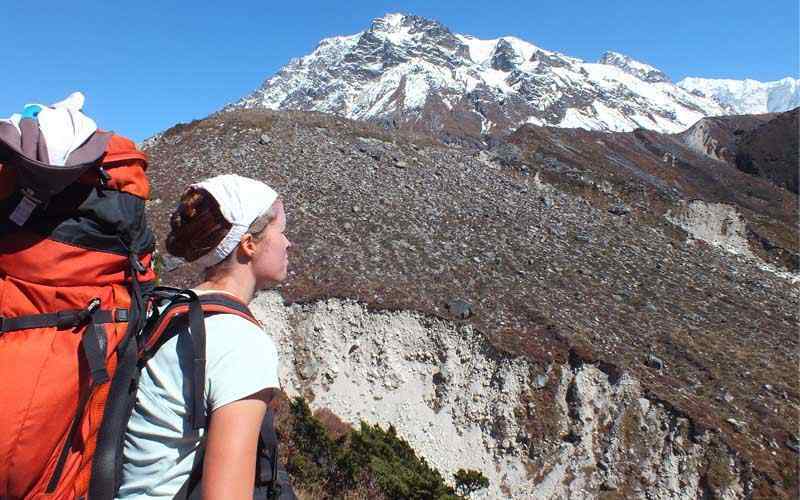 This beautiful Helambu trekking comes to concludes at Melamchepul bazaar in the warm sub tropical climate area for a scenic drive back to Kathmandu. 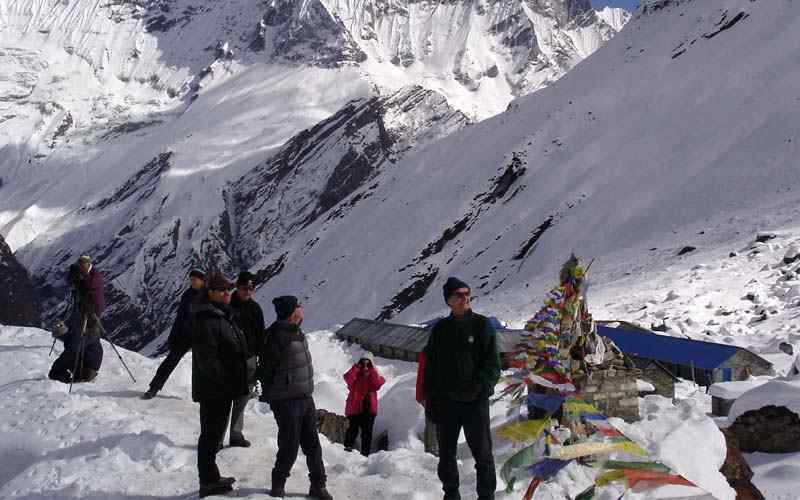 Day 03: Drive to Sundarijal and trek to Chisapani (2,300 m-7,545 ft) - 04hrs. 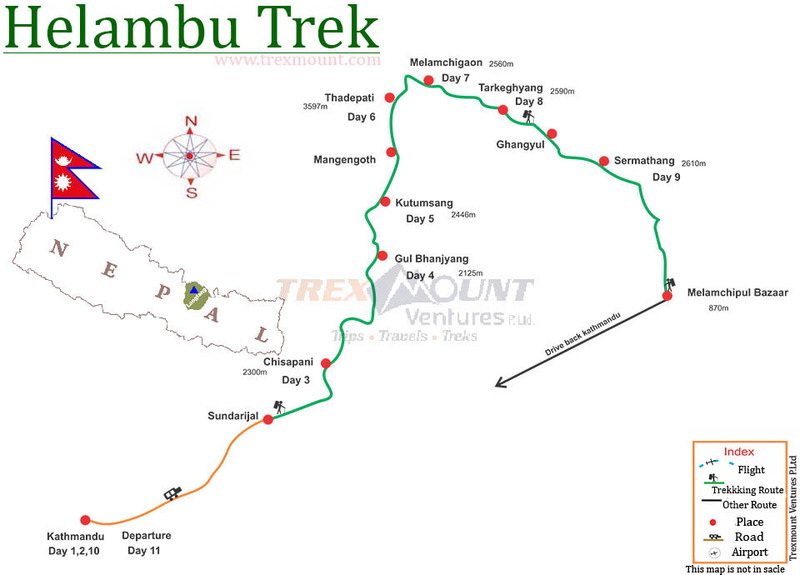 Day 04: Trek to Gulbhanjyang (2,125 m-6,971 ft) - 05 hrs. 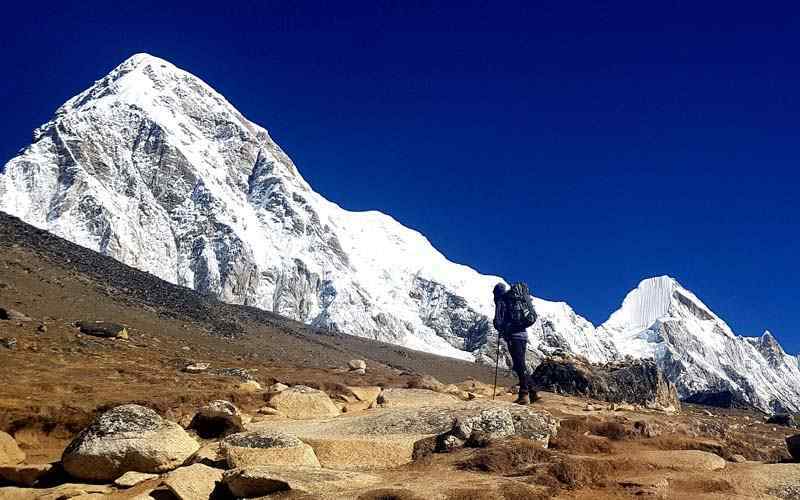 Day 05: Trek to Kutumsang (2,446 m-8,024 ft) - 04 hrs. 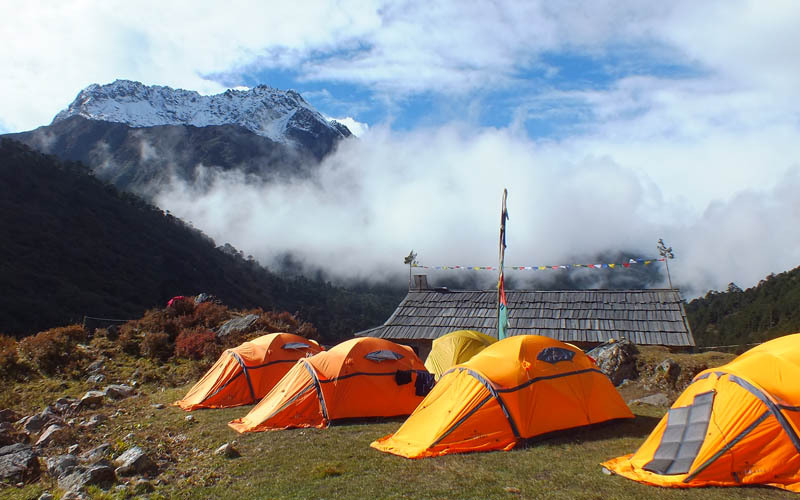 Day 06: Trek to Thadepati (3, 597 m-11,801 ft) - 05 hrs. 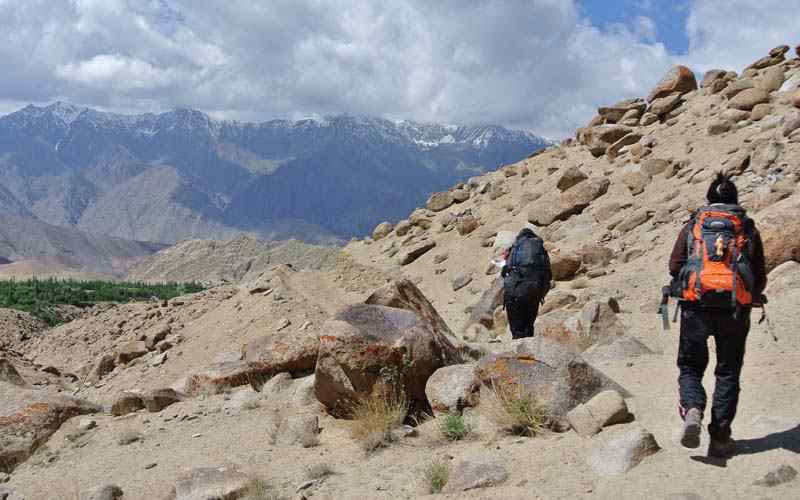 Day 07: Trek to Malemchigaon (2,560 m-8,398 ft) - 05 hrs. 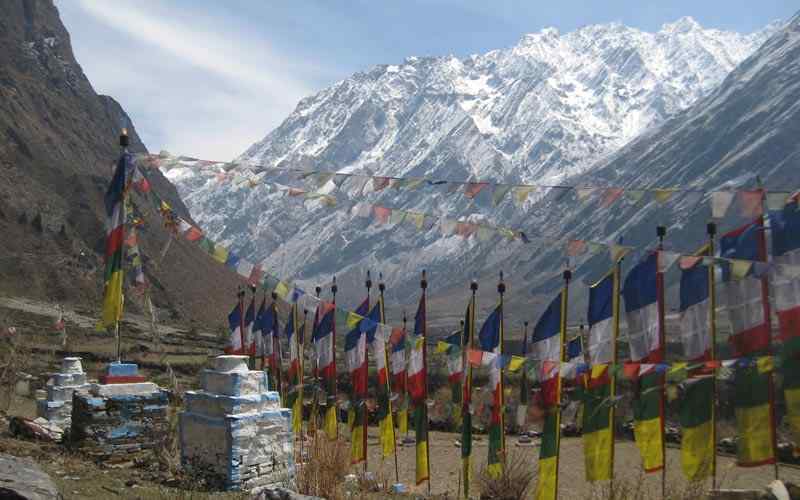 Day 08: Trek to Tarke Gyang (2,590 m-8,497 ft) - 04 hours. 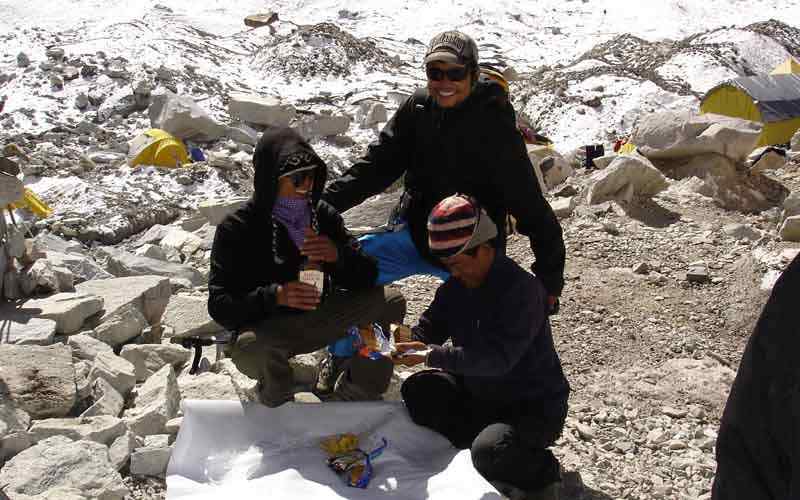 Day 09: Trek to Sermathang (2,610 m-8,562 ft) - 04 hours. 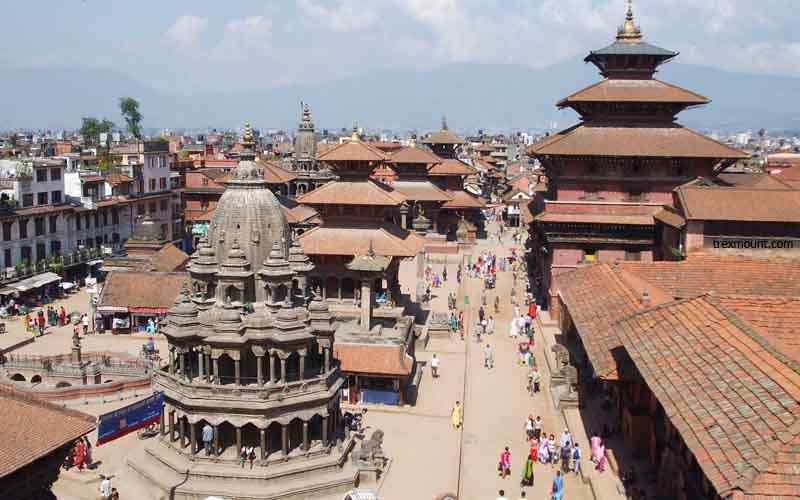 Day 10: Trek to Malemchepul Bazaar, drive to Kathmandu - 05 hrs drive. This marvelous cultural and scenic journey starting with a short drive towards east suburb of Kathmandu valley at Sundarijal located at a distance of 15 k.m from Kathmandu city, the drive ends after an hour in Sundarijal where this trek begins with an uphill walk passing many small farm villages with beautiful waterfalls to reach at an entrance of Shivapuri National Park, from here through forest of rhododendron, pines and oaks trees and into scattered farm fields and villages reaching at a ridge top in Chisopani, where the air is cooler situated 2,300 meters high overlooking grand vista from Annapurna-Manaslu-Ganesh Himal, Lang tang Himal towards Jugal Himal range, with views of Kathmandu valley, this spot offers stunning sunrise and sunset views also. After a marvelous time with stunning sunrise over range of mountains, walk starts on a downhill trail to a nice neat village at Pati Bhanjyang a Hindu Brahman and Chhetris area, from here walk continues with a slow uphill climb for an hour then on the gradual winding through a small patch of forest and hamlets reaching at Gulbhanjyang for overnight stop after a good day’s walk of five hours. Walk is for few hours today to Kutumsang, starting the morning trek following a trail with a climb for some time and then on the downhill to another popular village of Chipplin, from here walk continues passing many small farm villages overlooking grand views of surrounding green landscapes and rolling hills all the way to Kutumsang for overnight stop in this nice villages of Sherpa, Hylamo and Tamang tribe with excellent views of snow capped mountains, afternoon free at leisure to explore this small pretty looking village and its surrounding. From here heading to near Helambu area, starting morning walk with a steep climb to Yurin Danda ridge through pristine rhododendron, pines and oak forested area to a small pass at 3,510 meters high, and then a short descend to reach a wide open meadow with grazing pasture area with an army post and few small shops and tea houses, from here continue walk for another few hours leading to a climb leaving the main path that leads to Gosainkund area, this fabulous walk finally ends at Thadepati for lunch and overnight stop. 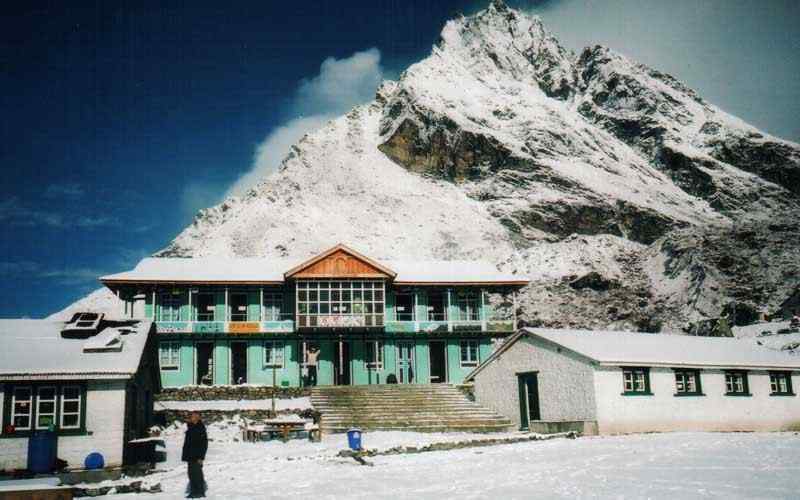 Thadepati, a small village with lodge standing high at 3,597 meters, the highest spot of this journey with grand vista of rolling green hills, beautiful landscapes, array of peaks from Ganesh, Langtang to Jugal mountain range, afternoon ample time for short walk around to explore this wonderful spot. 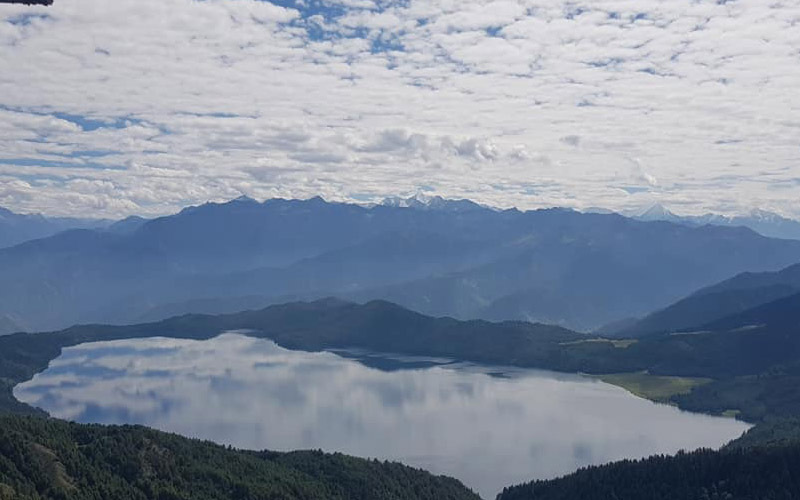 After a nice with great views and on the highest point of this marvelous trekking, our morning walk starts on a downhill path through thick cool forest of rhododendron, hemlocks, firs and pines tree lines. 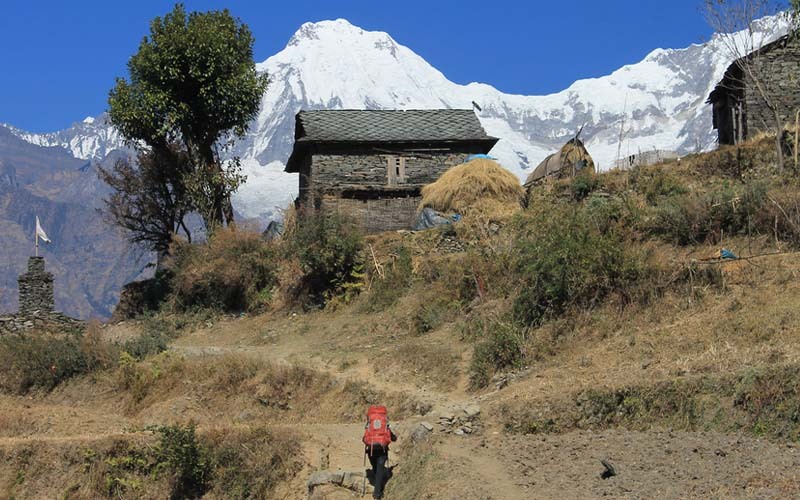 Walk carry’s on passing several Sheppard’s huts with temporary shelter and then slowly walk leads to a small fresh stream Melamchi Khola, crossing the river and then a gradual climb reaching overnight halt at Malemchigaon around Helambu area, a typical hill village of Buddhist religion of Hyalmo tribe, the houses windows and doors, furniture of fine shine with interesting intricate carvings and wood works, this is the beginning of Helambu area, after lunch free to explore this nice village. 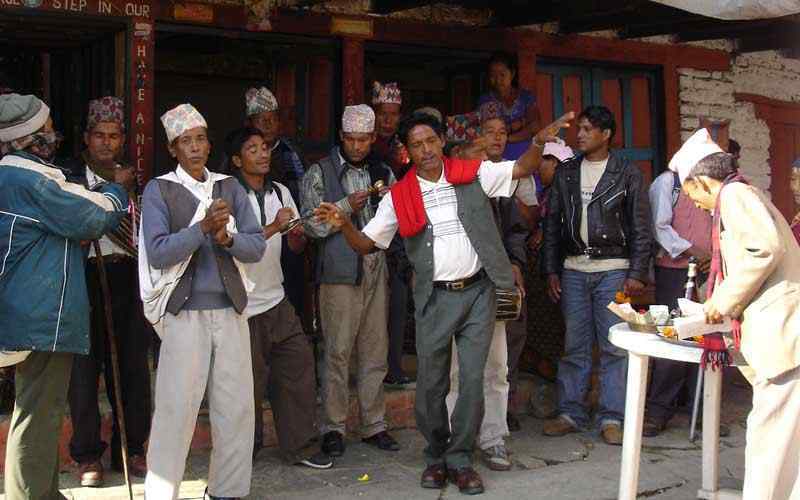 Today this wonderful cultural trek reaches in the heart of Helambu area at Tarke Gyang, with half day walk on the trail that steeply descends to Melamchi River after an hour morning trek from Melamchegaon, and then crossing river on a strong exciting suspension bridge, from here the trail heads uphill above the river for an hour reaching at Tarkeghyang village via Nakote village. 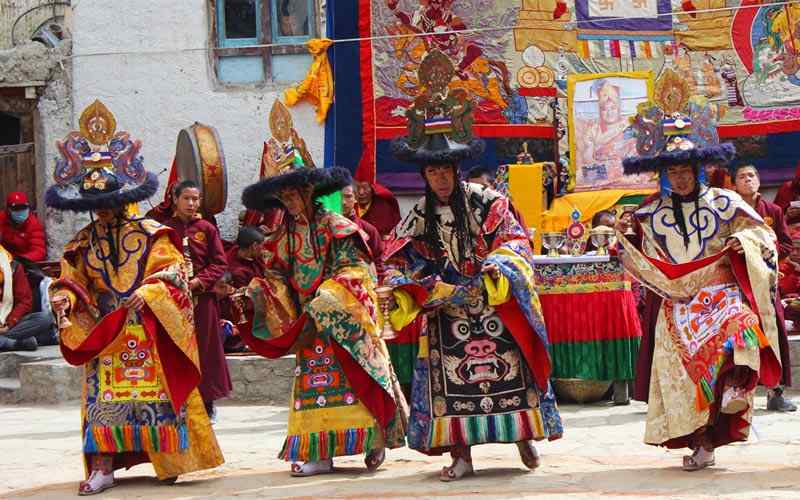 Tarkegyang, a famous charming villages of central Himalaya, where the folks are of Hyalmo tribe, religion, culture and way of life resembles the Sherpa and Tamang people, this area is also famous for delicious green apples and intricate wood carving, afternoon at leisure, explore this lovely village and the old Buddhist monasteries called Ama Yangri perched on top of the village. After an enjoyable time in the main village of Helambu at Tarkgyang, morning walk leads on the gradual winding path through small patch of wood lands and many hamlets and shelters of cattle herders, journey continues losing altitude on the downhill trail, through nice cool forest and then passing many Buddhist monuments, chortens reaching at Gangyul, a small farm village, walk carries on with fabulous views of rolling hills and snow capped peaks and then reaching at Shermathang for overnight stop, this is another pretty village of Helambu area, afternoon visit another old monastery of this region. After a wonderful time in the high hills, valley with picturesque scenery, today walk concludes at Malemchepul Bazaar on the road head for the drive to Kathmandu, morning walk starts descending through warmer area towards lower area reaching flat land as the walk continues to Dubachaur, further walk on downhill reaching a suspension bridge over Melamche Khola, after crossing and ending this fascinating cultural trek at Melamchipul Bazaar a busy place with many shops and small lodges and tea shops, a short rest before the drive to Kathmandu. 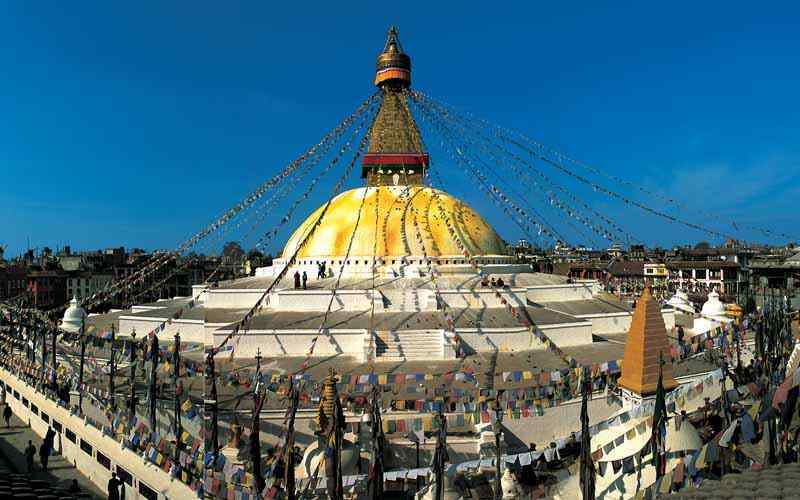 Drive on the dirt road for a while and then reaching a good road at Kathmandu / Tibet, China highway, drive leads uphill at Dhulikhel town famous for super views of mountains, from here an hour ride brings you back to Kathmandu after a great time in the high hills of Helambu area.